That is why we always suggest that you book one of our Pigeon Forge large group cabins when planning a trip to our area. 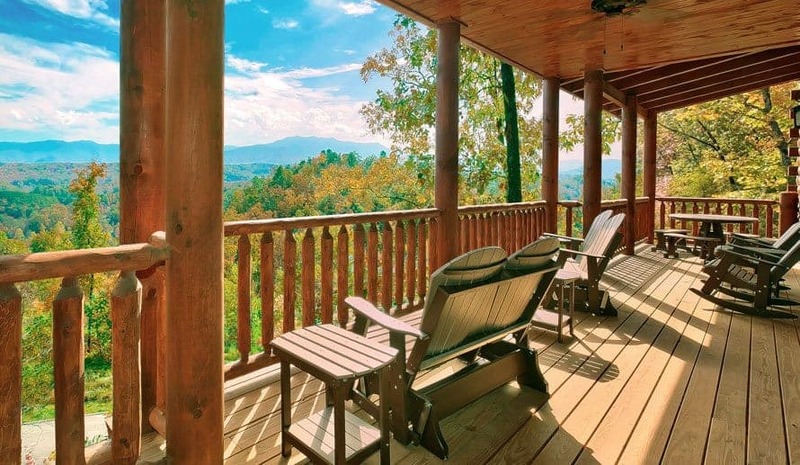 The biggest reason we encourage you to consider booking one of our Pigeon Forge large group cabins for your trip to the area is how relaxing these vacation homes are. From private bedrooms to secluded back decks to plush living room furniture, you will be hard pressed to find an area inside these rentals that doesn’t help you unwind. This means that not only will you be able to let go of any stress or tension you may have while staying with us, you will also be able to count on the fact that you will return home well-rested and rejuvenated. What more can you ask for in a vacation? Just as the name suggests, our large group cabins offer you a ton of space to stretch during your visit. In fact, some of our cabins can hold up to 74 guests at a time, that is huge for a vacation home! Here, you don’t have to worry about spending your stay stuck inside a cramped rental because you will have a plenty of space at your disposal while staying inside one of our large cabins. And, trust us, that will come in handy when you are looking for a quiet place to peaceful to inside the cabin or a quiet place to catch up on some reading. It is nice to know that you can enjoy a large group vacation without having to sacrifice your beloved peace and quiet. 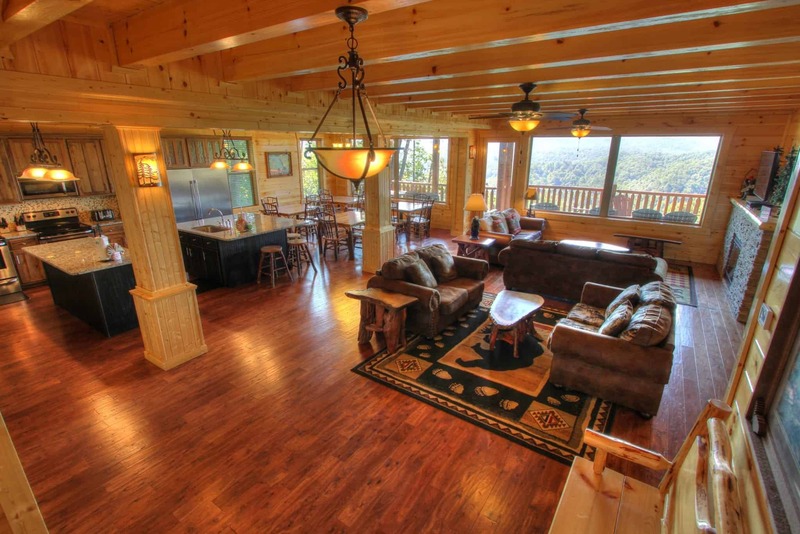 It’s no secret that our large group cabins are much more than your typical vacation homes. Sure, they offer the standard cabin amenities like a fireplace, full kitchen, jacuzzi tub and theater room. But, it is the bonus amenities these rentals offer that make them stand out. To learn more about all the amazing amenities that come without group cabin rentals, click here. It’s hard to enjoy a group vacation when you and the rest of your group have to split up several times throughout the day. Whether this is having to sit at different tables in a restaurant or going back to different rooms or hotels to sleep at night, that is still precious moments of your vacation you could be spending strengthening bonds and making new memories with the ones you love. You can easily avoid this by booking one of our large group cabins. As we mentioned earlier, these cabins have the ability to sleep over 70 guests at a time. That means you will have more than enough space to fit your entire group. If you need even more space than what our biggest cabin can offer, then you will be pleased to know that many of our large cabins are located within walking distance of each other. This means that you still won’t be too far away from your friends and family during your stay. Last, but not least, we can’t talk about how amazing our large cabins are for your next vacation without talking about how much money they have the potential of saving you. Not only is the cost cheaper than it would be if you were to rent out several hotel rooms for your group, but you have the ability to divide the cost between more people as well. If you add in the fact that you can prepare your own meals inside these cabins and find way to entertain yourself without spending money, there is almost no other options for you than to choose one of our cabins for your mountain getaway. Click here to learn more about how renting Pigeon Forge large group cabins saves you money. 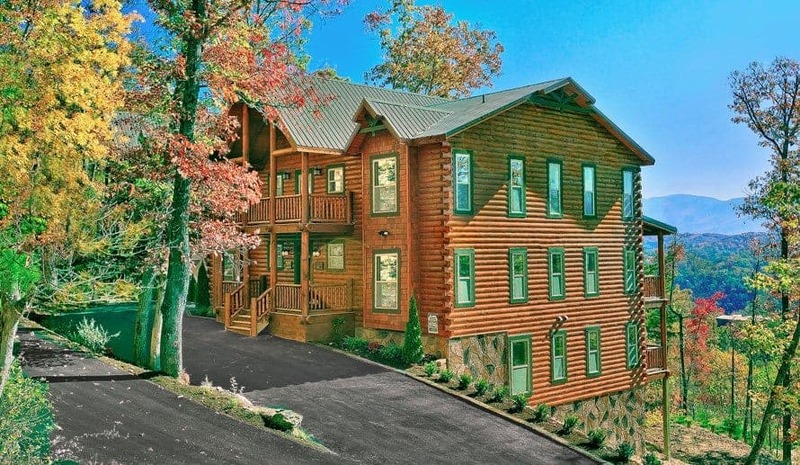 If you enjoyed this, then read our blog about 5 Things You Didn’t Know About Pigeon Forge Large Group Cabins!